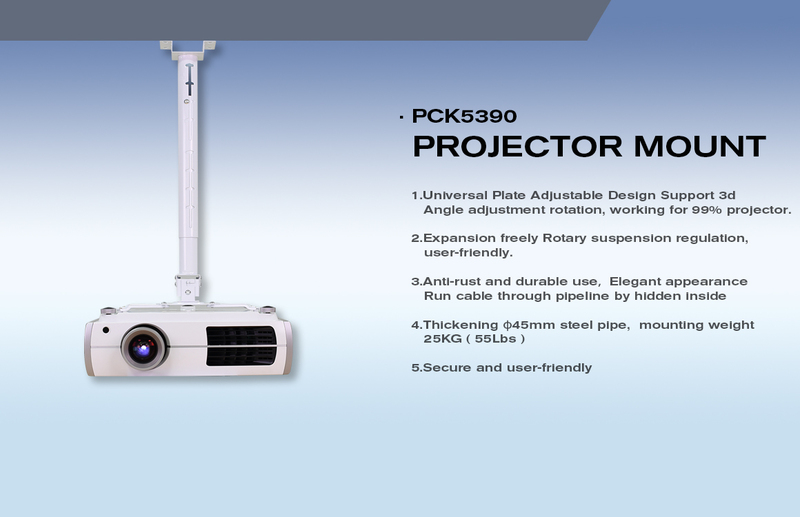 SAMS projector mount is a brand new, heavy duty, universal ceiling projector mount. Ideal for any home or office, this high-grade steel mount is weight tested at 25KG ( 55 lbs ) and designed with adjustable arms to fit most projector brands with mounting ranges from 2” to 12.5”. 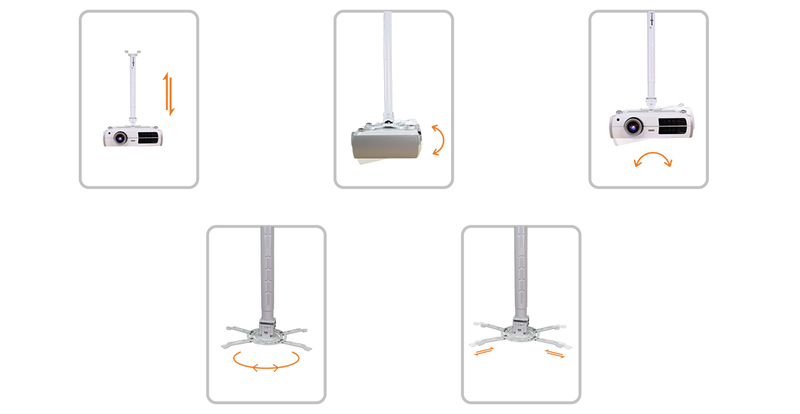 it extends from 15” to 23” from flat ceilings to fit the user’s needs. Simple tightening of joints makes this as fluid or stationary as desired. This is a quick assembly and comes with common mounting hardware. The projector mount comes in a white finish. Important Note: The mounting arms for this projector mount have a maximum reach of 12.5”. 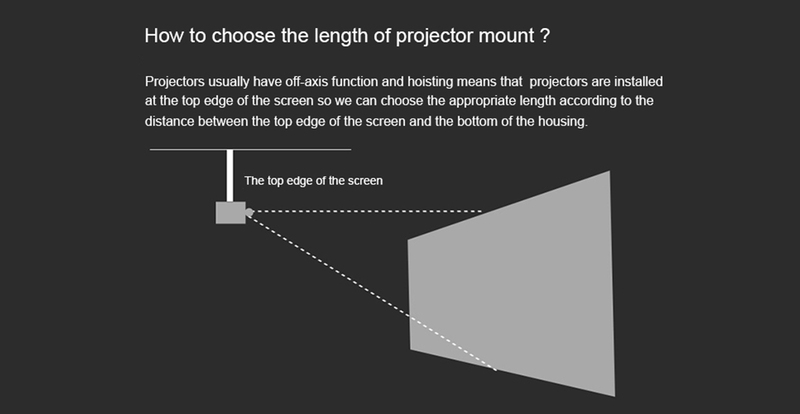 Before purchasing, be sure to find the mounting holes on top of your projector and measure the distance between each one (especially the ones diagonal from one another). 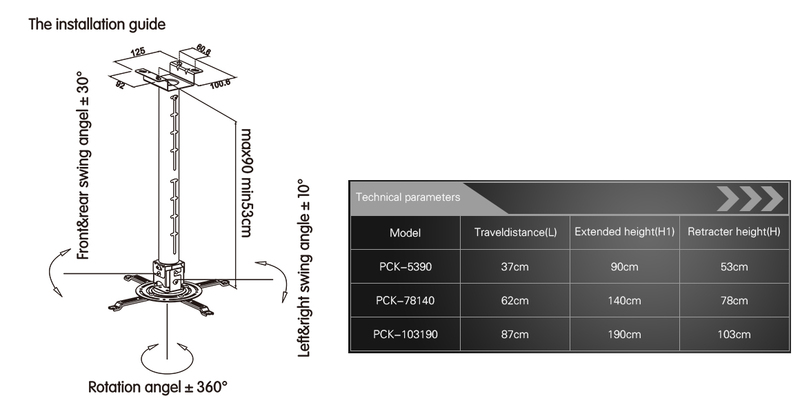 If all diagonals measure 12.5” or less then this mount will fit your projector.